Leaders want to see how some provisions will be enforced. 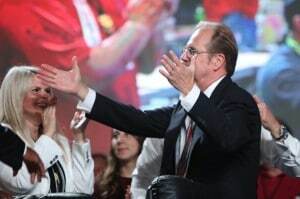 UAW President Gary Jones wants to see how certain provisions of the new NAFTA are enforced before offering full-throated support of the deal. 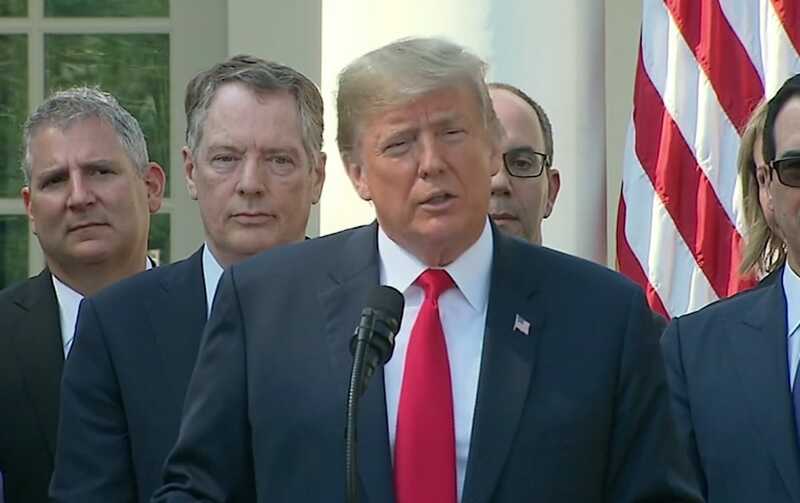 One constituency, organized labor, is withholding its support to the revision to the North American Free Trade Agreement unveiled this week by President Donald Trump. “For a quarter century NAFTA has been disastrous for working people in the U.S., Canada and Mexico and a gift to corporations offshoring good U.S. jobs,” the UAW, which supported Trump’s push to revamp NAFTA, said in a statement. “The true test of a new NAFTA agreement will be in whether it protects and enhances opportunities for the U.S. workforce and leads to higher wages and benefits for UAW members and manufacturing workers who have suffered for far too long,” Gary Jones, the UAW’s new president noted. Jones noted numerous details still need to be reviewed and resolved before making a final judgment on the deal. New protections for working families and the closing of some loopholes for global companies seeking to ship jobs overseas are a step in the right direction but there is more work to do, he said. 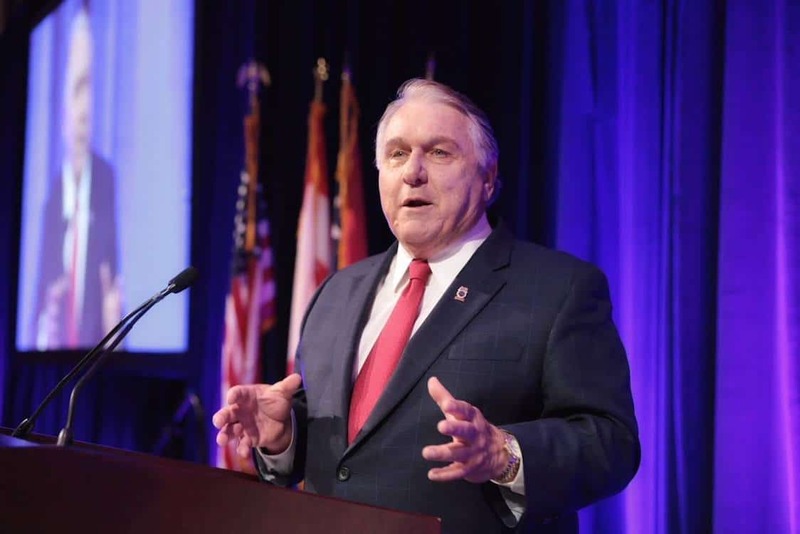 Teamsters President James P. Hoffa wants assurances about the enforcement of the new USMCA before he offers support. However, he said he needs to be assured that Mexico is going to fix weak labor laws and enforce new worker protections. “We do not know what the USTR and Congress will do to make sure the words in the agreement are carried out. We need to review and resolve the details of the agreement when they are available to be sure that that this agreement truly ends NAFTA’s legacy of shuttered factories and low wages,” he added. The UAW’s reservations echoed those of the AFL-CIO, which said much of the agreement ballyhooed by Trump still hasn’t be finalized. “Unfortunately, we have been presented with an unfinished text to review. In some places, the text is still in draft form, in other places, important terms remain bracketed (unresolved) and in some cases, including with respect to the government procurement schedules, there is no text to review,” the AFL-CIO said in a statement. The bottom line is that we simply do not have enough information at this time to know whether NAFTA 2018 is in the economic interests of the United States, the AFL-CIO said. The Teamsters, another union that has long criticized NAFTA, is also withholding its support for the revised trade pact with Mexico and Canada announced by Trump. President Donald Trump says the new United States-Mexico-Canada Agreement means plenty of new jobs for U.S. workers. “The Teamsters are pleased with the progress that has been made towards replacing NAFTA. As North America’s supply chain union, the Teamsters have a big stake in cross-border trade. That’s why we appreciate the creative approach by the USTR in fixing a problem with the original NAFTA that is a legacy issue for us and our allies among environmental and highway safety advocates,” the union offered. “However, until we are satisfied that those obligations will be subject to swift and sure enforcement, we cannot endorse this renegotiation. Similarly, unless the Mexican government adopts new labor laws that meet their constitutional requirements and the new criteria of this NAFTA, then the fundamental flaw of the original pact will remain unresolved, American jobs will continue to migrate south, and this union must therefore withhold our unconditional support,” Hoffa said. Union support could become critical as Trump looks for votes in the U.S. House of Representatives and the U.S. Senate in the next several weeks for final approval of what is being called NAFTA 2.0. The 11th-hour breakthrough that may have saved NAFTA, the Trump administration reach agreement with Canada — opening the way for the United States, Canada and Mexico to sign a renewed trade pact at the end of November. The revisions include changes on auto-sourcing rules as well as new or updated provisions on digital trade, financial services and other areas of commerce. During his contentious presidential campaign in 2016, Trump had managed to move to the left of Hillary Clinton by criticizing trade deals that unions had said for years favored big multi-national corporations. This entry was posted on Wednesday, October 3rd, 2018 at and is filed under Automakers, Automobiles, Business, Executives, Leaders, Markets, NAFTA, Personalities, Politicians, Sales, Trade, Trends, U.S./North America, UAW, Union. You can follow any responses to this entry through the RSS 2.0 feed. Both comments and pings are currently closed.